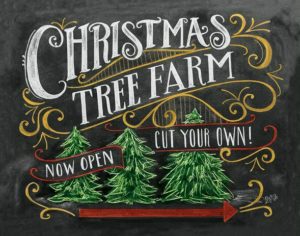 Located at Twin H Tree Farms, Inc. I HEREBY ASSUME ALL OF THE RISKS OF PARTICIPATING IN ANY/ALL ACTIVITIES ASSOCIATED WITH CHRISTMAS TREE CUTTING, including any risks that may arise from negligence or carelessness on the part of the persons or entities being released, from dangerous or defective equipment or property owned, maintained, or controlled by them, or because of their possible liability without fault. I acknowledge that I am cutting down my own, or family, Christmas tree and I assume all risks by persons participating in, or observing, said activity. I understand that I can deny the use of the corporation’s provided hand saw and use a personally owned hand saw, however, agree that no chainsaws will be used on farm property for any reason. I further agree to keep all participant vehicles on graveled roadways and to observe “private driveway” signs. I understand that farm fields may harbor unseen hazards such as, but not limited to, holes and tree stumps and that walking through said fields could cause injury. Any damages to the supplied handsaw, the graveled roadways, or the farm fields by participant(s) during said activity could result in a fine, or fines, in the amount equal to the damage(s) caused. In addition, I also understand that any Christmas tree cut by said participant(s) and left in the field will result in a fine equal to the amount of said downed tree. Lastly, I acknowledge that I am responsible for transporting my Christmas tree to the barn, along with my given number and associated handsaw, and to vacate farm fields by 5:00 pm EST. I acknowledge that this Accident Waiver and Release of Liability Form will be used by the owners and employees of the aforementioned property and that it will govern my actions and responsibilities. I acknowledge that Twin H Tree Farms, Inc. and their directors, officers, volunteers, representatives, and agents are NOT responsible for the errors, omissions, acts, or failures to act of any party or entity conducting a specific activity on their behalf. I acknowledge that this activity may involve the potential for death, serious injury, and property loss. The risks include, but are not limited to, those caused by terrain, facilities, temperature, weather, condition of participants, equipment, vehicular traffic, and actions of other people including, but not limited to, participants, volunteers, and/or producers of the activity.